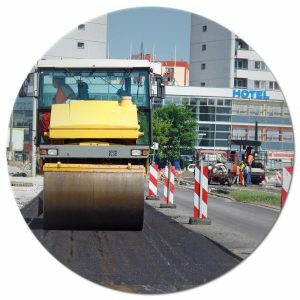 Whether it be residential or commercial, A&D Asphalt has the equipment and the expertise to handle any size Corpus Christi, TX Seal Coating project. Not only does our sealcoating help preserve your existing pavement, but it adds value you to your property too. Adding to the aesthetics of your property is not the only advantage. Routine Corpus Christi, TX Sealcoating maintenance is recommended to extend the life of your driveway or parking lot. Throughout the years, we have become experts at providing high quality Sealcoating services throughout Texas. With three generations of paving expertise under our work-belts it is easy to see why our customers continue to be satisfied with our Sealcoating and Paving services. We are the #1 Seal Coating Company Corpus Christi, TX and throughout Texas. Quality Corpus Christi, TX Sealcoating is key to the upkeep of your business or residence. Unsightly and worn pavement is an eyesore to any home or storefront. By beautifying the outside of your building, and increasing curb appeal, it truly does enhance the value of your property. It also is a wise investment to repave and maintain your existing pavement. More often than not, when you allow your pavement slip into disrepair it can really sink your wallet as well. A&D Seal Coating Corpus Christi, TX can have your driveway or parking lot looking like new for a fraction of the cost of our competitors. Have your Sealcoating stand the test of time and go with A&D. Here is a closer look at our Texas Seal Coating process so you can get a better idea of the details of such a project. A&D expertly applied Corpus Christi, TX Seal Coating protects the asphalt from oxidation due to extreme weather and the wear and tear of age. A&D Asphalt Sealcoating helps prevents cracks from forming due to weather and climate change, and will elongate the life of your asphalt for years to come. Below we have some information that may be helpful when deciding if you need A&D Corpus Christi, TX Sealcoating applied to your property or existing asphalt. A&D Asphalt Company remove all debris and dirt from the surface that is going to get a good base to apply your Seal Coating Corpus Christi, TX. After that our trained paving specialists will apply a stain treatment to the existing pavement, so that the finished product looks fresh and new. Then it is time to apply the Corpus Christi, TX Sealcoating to your driveway, parking lot or other commercial or residential area. Lastly, we make sure that the surface is smooth and without flaws, and then tape off the area to ensure that it dries and sets properly. It may seem that this process is relatively simple, but let us assure you, applying quality sealcoating isn’t an easy undertaking. A&D Corpus Christi, TX Sealcoating Company has had years of experience in the paving and chip seal industry. They have finely tuned their paving and asphalt contracting skills to do the job right the first time. Customer satisfaction is at the very heart of what A&D Asphalt believes in and we work hard to maintain that level of professionalism. 710 Buffalo Street, Suite 802, Corpus Christi, TX – 78401. Copyright 2019 South Texas Asphalt . All Rights Reserved.